What Happened to Bele Chere in Downtown Asheville? See our calendar of other Summer Festivals. We love the much smaller LEAF Festival that has replaced it unofficially. 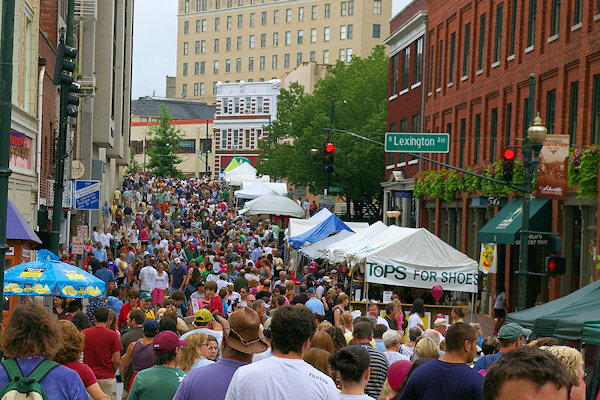 Bele Chere (pronounced Bell Cher), was the largest free outdoor street festival in the Southeast, attracting up to 300,000 in its busiest years. 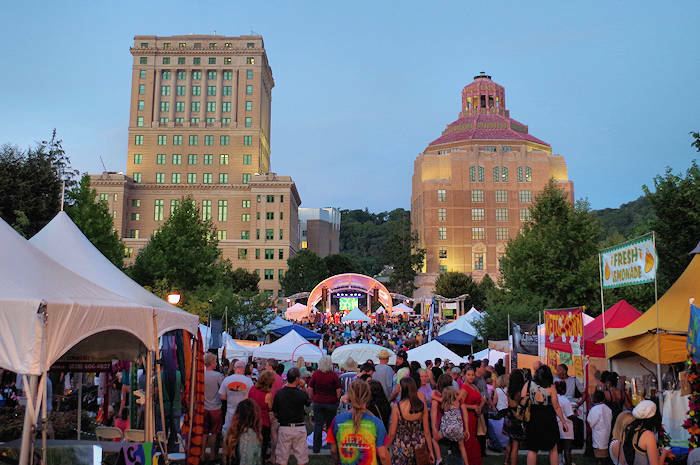 The three-day festival on the streets of Downtown Asheville featured live, original music all day and night for festival-goers. Bele Chere means "beautiful living" and comes from an ancient Scottish dialect. 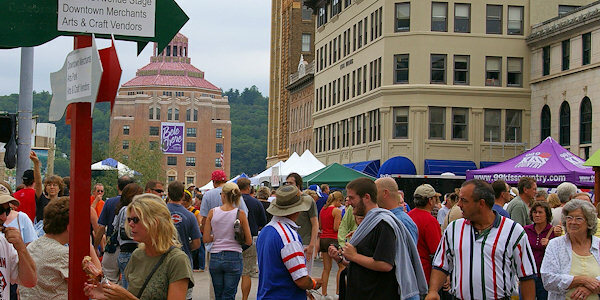 Bele Chere offers the unique opportunity to see, taste and hear some of the region’s finest art, cuisine and music. It ran for 35 years.